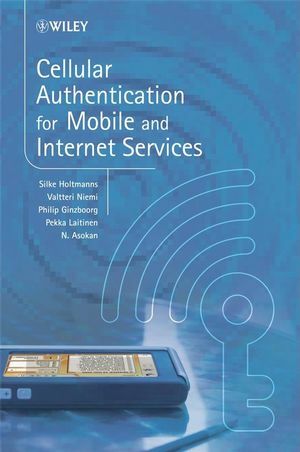 This excellent all-in-one reference will provide system and protocol designers, application developers, senior software project managers, telecommunication managers and ISP managers with a sound introduction into the field of secure communication for mobile applications. System integrators, advanced students, Ph.D. candidates, and professors of computer science or telecommunications will also find this text very useful. Silke Holtmanns, Nokia Research Center, Helsinki, Finland is a Researcher in?the at Nokia Research Center (NRC) Helsinki in the Trustworthy Communications and Identities Team of the Internet Core Technology Center. She joined NRC in 2004 in the?Mobile Computer Human-Interaction Competence Area and the Software and Applications Technology Lab. Prior to joining Nokia, she worked at Ericsson Research Department - Service Networks and Applications Technology. Philip Ginzboorg, Nokia Research Center, Helsinki, Finland is a Principal Research Engineer at NRC. Pekka Laitinen, Nokia Research Center, Helsinki, Finland is a Security Researcher at NRC. N. Asokan, Helsinki Finland is a part-time Professor at the Helsinki University of Technology. 2.2. General-Purpose Approaches to Authentication and Key Management.